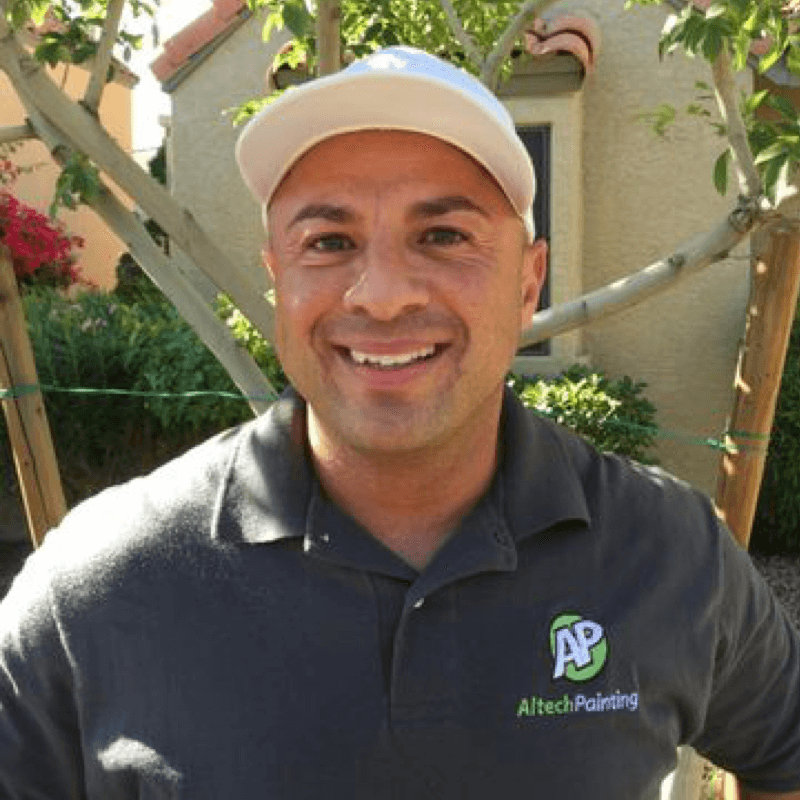 Altech Painting LLC is an Arizona licensed contractor, ROC#297445, also bonded and insured professional painting service. Who provides professional services to homeowners and businesses owners across the valley in the Phoenix area. From the exterior of your home or business to the interior rooms or surrounding cool decks, no painting project is too large for us! We are committed to providing the highest level of professionalism, service response, and quality workmanship all at an affordable price. Hello, I am Andy! I am a 2nd generation painter with over 25 years in the professional painting industry as well as 12 years in Epoxy coating. All this experience lead me to starting AlTech Painting and have been continuously delivering top quality work and meeting all my customers needs. I have a personal interest and connection to every project. You do not deal with a middle man, there is no appraiser or estimator. All hoops are eliminated when you work with AlTech! When the phone rings, I will be the one to answer it. My passion for painting leaves each and every job looking flawless and the area clean upon exit. I give me word to all my customers that I will do everything possible to make the result exceed your expectations! I look forward to working with you, please Contact Me if you would like to get started, or view my Gallery to see some of my recent work.